Dr. Null sees that you kleine Skizze Affen are intimidated by Dr. Null's challenges. Don't deny it, Dr. Null can see it in your eyes! Let it never be said that Dr. Null is not merciful. Dr. Null knows all you really care about is drawing Übermenschen and Überfrauen with big Kokosnüsse wearing tight tight clothes. And so, gaze on the newest challenge! 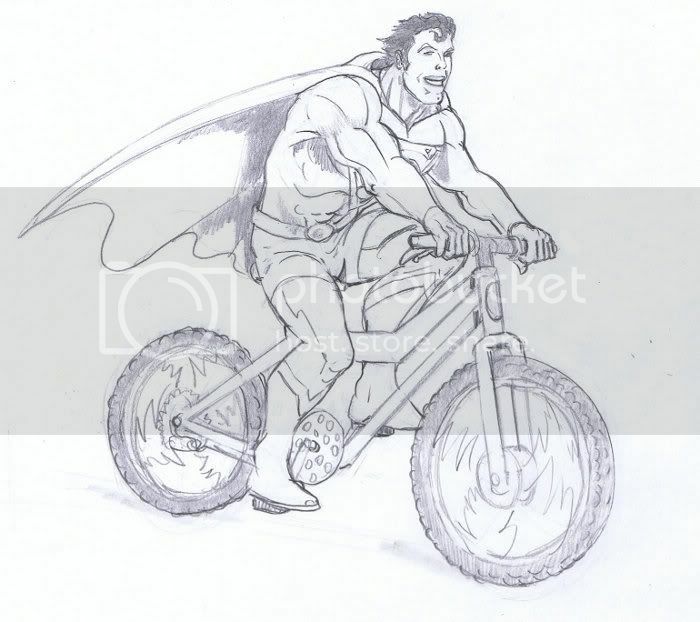 Draw Superman - in full costume - riding a bicycle. Not a futuristic or kryptonian bicycle, mind you, but a normal, realistic bicycle. Tassles are optional. In pencil only. Requirements fulfilled. 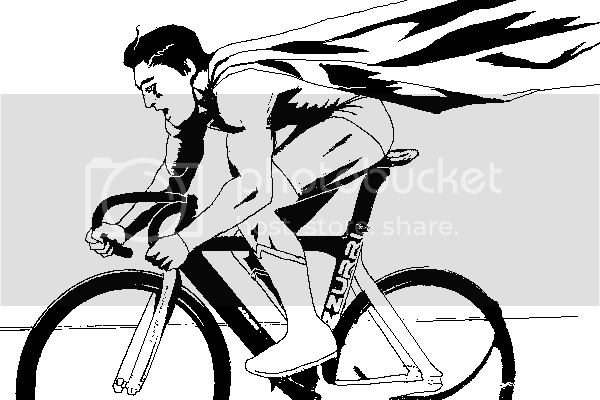 Superman on a bike. Forgot about the pencil only requirement. Super fail. Last edited by ghostcat; 02-21-2011, 07:46 PM. Leave it up, ghostcat. I want Dr. Null to rip into it. oops, didn't mean to take it down. This Dr Null character is pretty sleepy. Must be getting his German dictionary ready. lol. Dr. Null says "pencil only". 75% of entrants disregard this. Dr. Null will NOT be pleased lol! What is the difference btwn PENCIL TOOL and a lead pointer? Besides the fact that I invested in software to avoid buying a POS Mustek! Seriously. Oh well doesn't make much of a difference Dr Null is never pleased anyway. I would say the difference is that one is a pencil, and the other is not. I personally don't care what you used - could have been a crayon. I'm just thinking that evil Dr. Null might take issue with it, since it was part of his stipulations and he's a stickler for details. Seriously. In the meantime, you folks can offer critiques and suggestions on each other's work, right? HOLY SH!!!T! Ghostcat's entry is the awesome.